Tony King, a member of the FVL team of customer advisors, has smashed his fundraising target for Marie Curie Cancer Care for his forthcoming ride in the Etape Caledonia bike race on Sunday May 11th in Pitlochry. He spoke to David Petherick about the reasons for, and preparations for this sponsored bike ride. Marie Curie provided care for a family member who passed away last year, and a lot of people I know have been directly and indirectly affected by cancer, so I wanted to show his support and help raise funds. What preparation have you done? It’s an 81-mile race, and so I’ve been doing 2-3 commutes a week, which is a 25-mile round trip, and 40 miles+ runs at weekends. It’s slightly easier now, but drier weather would certainly help! What was your target for fundraising? I only put in £400 as a target, as I was not sure how much I could manage – but I have now passed the £685 mark. I’d love to make that sum even bigger! Please go to http://www.justgiving.com/caring-about-cancer to make a donation – it’s totally secure, and any contribution, however modest, is more than welcome. We’ll be reporting on Tony’s progress in the race next week, and updating you on how much he raises. 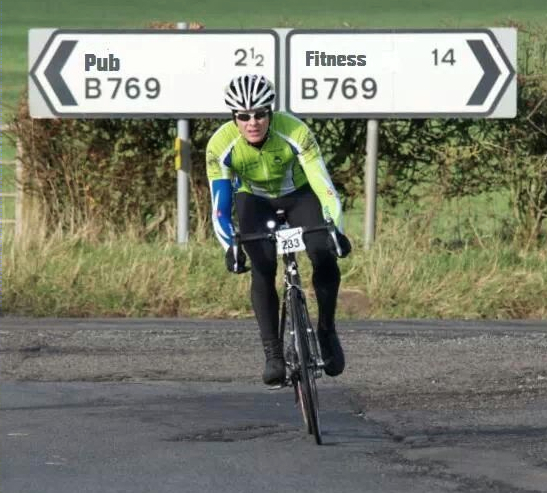 This entry was posted in News and Views and tagged bike ride, charity, fundraising, myfvl, sponsorship by David Petherick. Bookmark the permalink.